Business Lists are not all the same. If they are cheap and can be downloaded from a website then you are virtually guaranteed to receive rubbish. As with many products and services the price level reflects in the quality and performance of a list. DataConsult only recommends quality business lists for your campaign. We know the methodology of all the databases we sell and the time and money invested in keeping the data valid and updated. While no list is 100% completely accurate we guarantee the deliverability of the data and in many cases only charge for data that is valid. The following are a few of the major Business Lists we use for successful B2B Direct Marketing campaigns. IncNet Database – IncNet is the most comprehensive and accurate B2B marketing database available on the top companies in Australia and New Zealand. It coverage extends to 50,000 companies and over 250,000 key decision makers. IncNet is a compiled list and is updated daily by an in-house team of researchers in order to maintain the data at the highest possible level of quality. The list can be selected by Industry type, Employees, Revenue and Position. IncNet is the best choice for companies wishing to sell high value goods and services. Acxiom – InfoBase Business data is a complete and information-rich universe of Australian businesses, with over 800,000 unique company records. 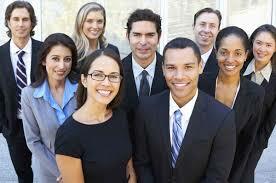 It focuses predominantly on companies with under 20 employees and captures the senior management. Extensive firmographics attributes are available for precise targeting. The data is updated daily with full adherence to privacy regulations. This list can be selected by Anzsic codes, Employees and position. Great list for capturing the SME segment. AMPCo – This is the most accurate and comprehensive Healthcare List in Australia. Includes all Doctors, Hospitals, Physiotherapists, Pharmacists/Pharmacies, Dietitians, Nursing Homes, Retirement Villages and Health Centres. AMPCo Direct is a subsidiary of the Aust Medical Association and is the data is updated via subscriptions and in-house telemarketing. Reed Business Information – This list covers over 160,000 Australian company records sourced from various exhibitions and conferences as well as subscriptions to various industry publications. Selections can be made on Industry type and position. Mahlab Property Industry Who’s Who – The most comprehensive list of key players in the Property Industry in Australia. A fully personalised list covering commercial, residential and industrial development projects. Selections can be made on type of property projects. Asian Business Lists – A selection of various lists covering Hong Kong, India, Indonesia, Malaysia, Phillippines, Singapore and Thailand. All lists are personalised and made up of english speaking business executives. List titles include Asian Decision Makers, CFO Asia, Corporate Asia, Finance Asia, Fortune Magazine, Wall Street Consulting. Dun & Bradstreet – Business Who’s Who and Duns File – An extensive list of over 300,000 businesses in Australia. One of the first business databases to be marketed in Australia. The database also covers the Top 40,000 companies with multiple decision makers. Updated by telephone research and credit risk reporting. This database can be segmented by SIC code, employees and job titles. A-ZGovBIZ – A complete database of all Government departments in Australia. With over 35,000 contacts covering Federal, State, Local Government including a detailed list of schools. This database can be selected by Industry type, Job function as well as number of employees. It is updated constantly by a team of data researches and has an accuracy level of 98%. A License of the data can be obtained for in-house prospecting. MarketBase – MarketBase is a dynamic direct marketing, sales prospecting and business intelligence tool to target businesses in the Asia-Pacific region. It is the product of Fairfax Business Research and most of it’s information is sourced from subscriptions to many of the Fairfax publications such as Australian Financial Review, BRW, BOSS, and Smart Investor. One of it’s strengths is it’s detailed information on companies IT structures including IT platforms and types of software. Reach DM – Provides coverage to 360,000 Australian companies from SME’s to large multinationals. A principal Decision Maker can be targeted in every company as well as c-level executives. Reach DM has complete data integrity and a high level of quality providing marketers with diverse segmentation options as well as precise targeting ability to pinpoint prospects. Lists from theis database come with a Reach DM guarantee – any inaccurate data returned within 60 days from the date of supply will be refunded.